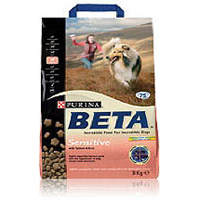 Beta Complete Dog food is a dry food comprising of Dual Size Kibbles to encourage Healthy Chewing and less bolting of food for improved Dental & Digestive Health, and for greater enjoyment. Longer Chewing assists the Digestion Process by preparing the food to be absorb, maximizing the intake of Nutrients. The Kibbles have a Unique Shape & Texture, which helps to limit the formation of Plaque & Tartar for Clean Teeth, Healthy Gums & Fresh Breath. 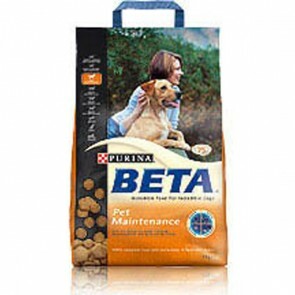 Within the Beta Complete range you will find a food for each stage of your dog's life. Beta: 5 stars out of 5 based on 1 user reviews.